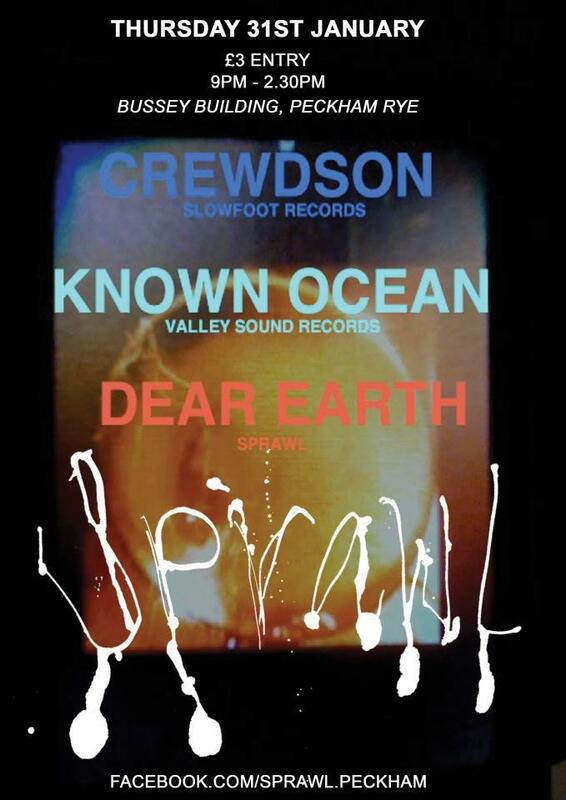 SPRAWL 4 - Crewdson, Known Ocean, Dear Earth Sprawl returns for it's first event of 2013 with an outstanding line up of live electronic music for your listening pleasure. On the last Thursday of the month we open up Bussey Building's warehouse and fill it with a mix of London's best live sounds and a catered visual experience. Opposite Peckham Rye Station, on the overground, like twenty minutes from east. 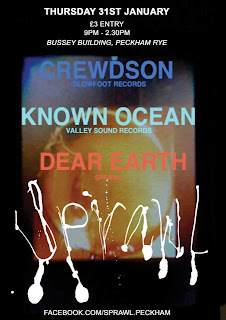 This month we've gone electronic featuring the amazingly talented CREWDSON (fresh from his tour with Matthew Herbert's One Pig), local boys KNOWN OCEAN (last spotted at the incredible 'Neutral Paradise Sound Salon' at Hannah Barry gallery back in November) and DEAR EARTH, topped off by a DJ set from Far From Cyan and Clara Pacifico. Video artist Daniel Haddock will provide visuals for the whole night.